Who doesn’t love Ice Cream? 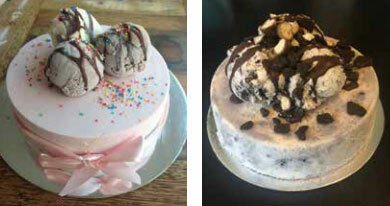 Order one of our individually made ice cream cakes for your next birthday or celebration and see your guests’ faces light up! 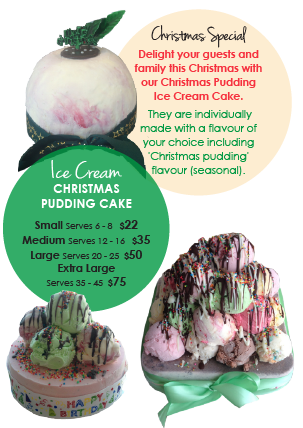 Made with our award winning ice cream and the freshest ingredients, each cake is individually made with the flavour combination of your choice.